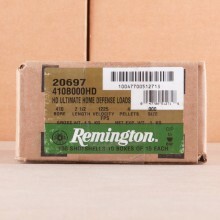 Free Shipping on Bulk 410 Gauge Ammunition! 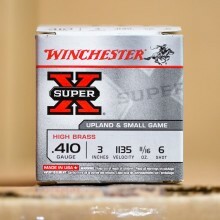 410 gauge or 410 bore is the smallest available caliber in the shotgun family. 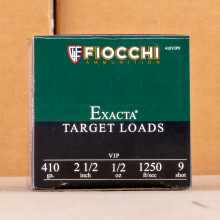 Generally easy to handle, 410 gauge ammo offers a light load compared to other shotgun rounds making it an ideal round for young shooters looking to hone their skills without developing a habit of flinching upon recoil. 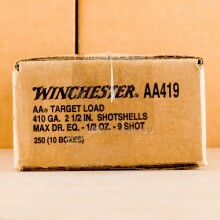 A lot of shooters will wrongfully refer to 410 bore or 410 ammo as “410 gauge”, which is technically incorrect. 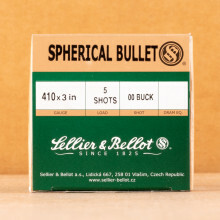 As the smallest shotgun round available today, the shell has base dimensions that are very similar to those of the .45 Colt revolver cartridge. 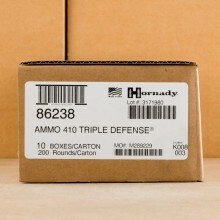 In fact, the two are so similar in dimensions that some revolvers chambered for 45 Colt can fire 410 bore without any problems or needed modifications. 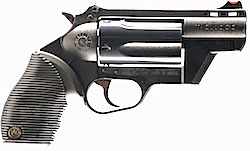 The Taurus Judge, pictured to the right, is just such a revolver as it can fire both 410 ammo and .45 LC. 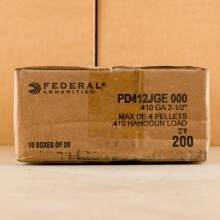 Commonly used by small game hunters targeting small varmints, squirrels and rabbits, 410 ammunition provides a tight pattern that can make shooting moving targets much more difficult than with other shotgun rounds. 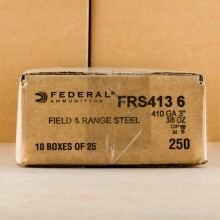 Look for 2, 2.5 and 3-inch length 410 bore ammunition available to the commercial market in the United States. 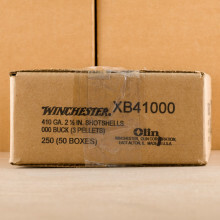 2.5-inch 410 shells will contain about 3 or 4 pellets of #000 buckshot and can generally fire about 8 pellets of #4 buckshot. 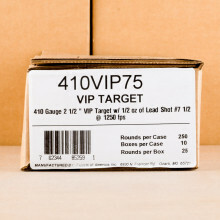 A good rule of thumb is that while 410 ammo can be effective against a threat in an emergency, it is not nearly as effective as most large shotgun calibers. 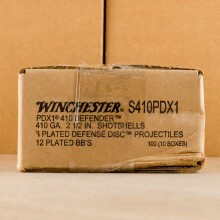 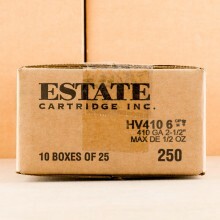 Several major manufacturers produce quality 410 ammo for sale today. 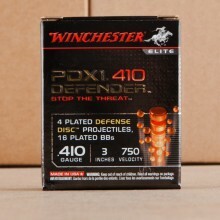 Look for Hornady, Fiocchi, Remington, Winchester and Sellier & Bellot in-stock most of the time. 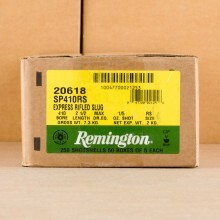 These manufacturers generally produce 410 bore in 5-round, 10-round, 20-round, and 25-round packages for shooters.